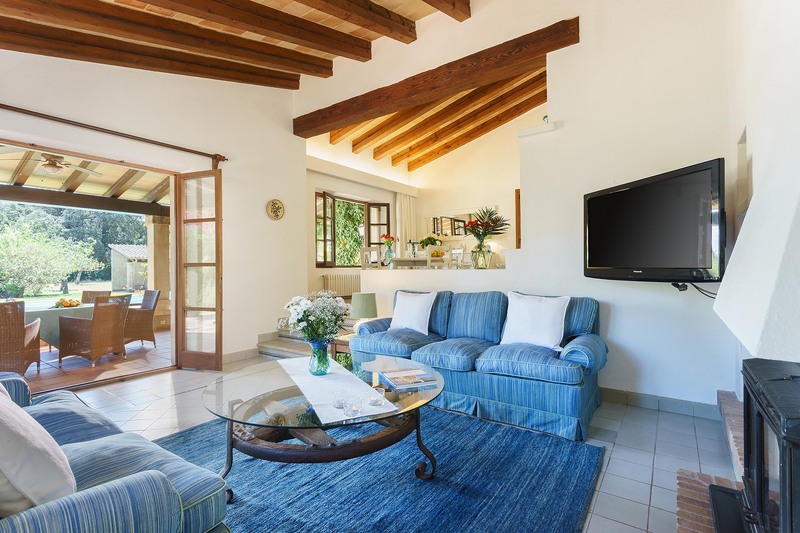 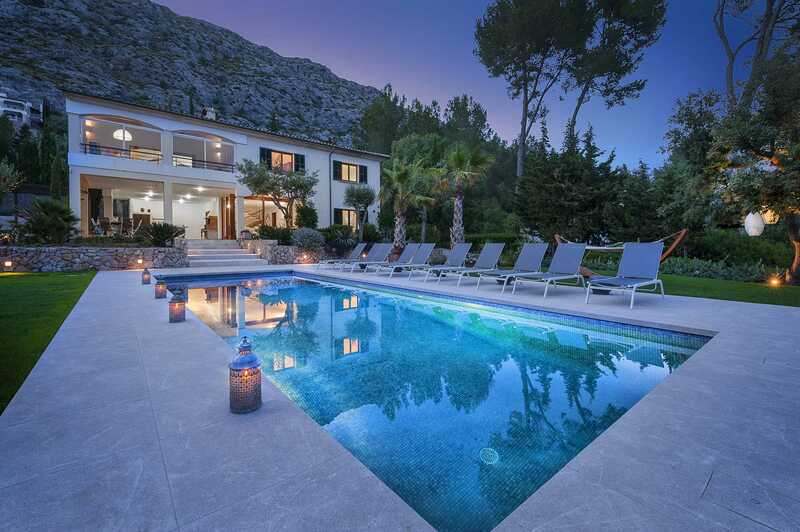 Luxury 3 Bedroom, 4 Bathroom Villa with Mountain View and a Private Heated Swimming Pool , Air Conditioning, WiFi, Table Tennis, Satellite TV, near Golf, Sleeps a maximum of 6 people. 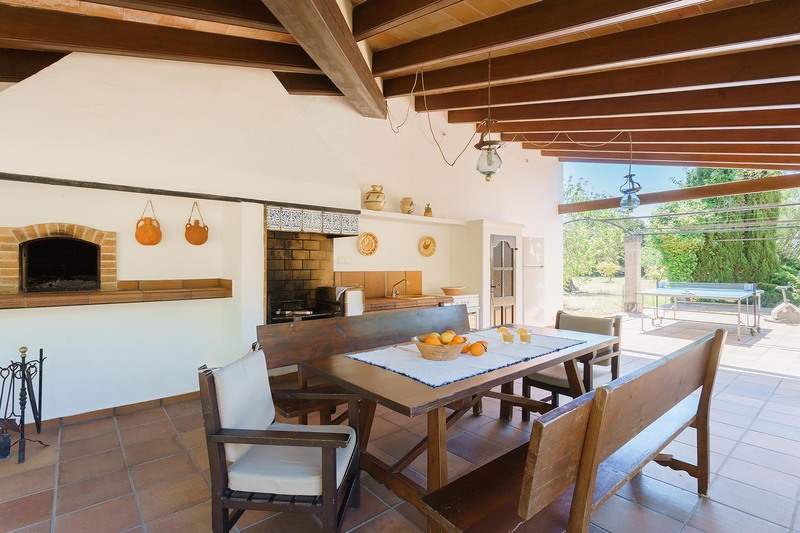 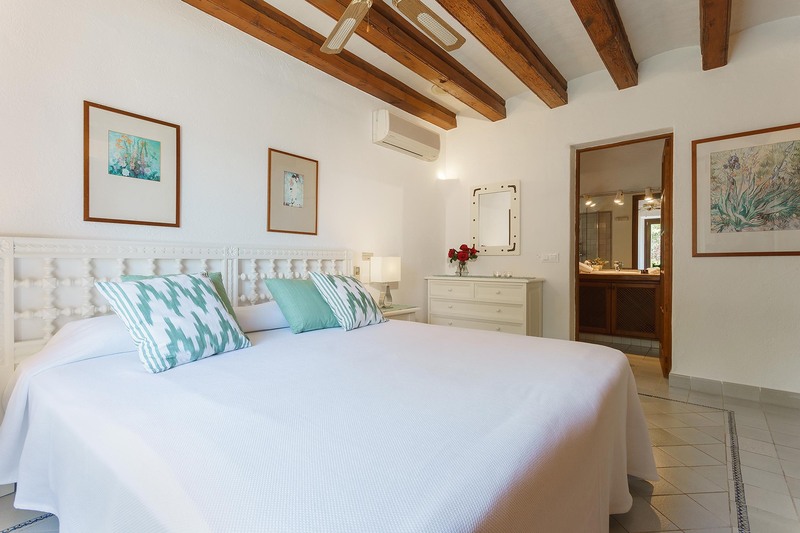 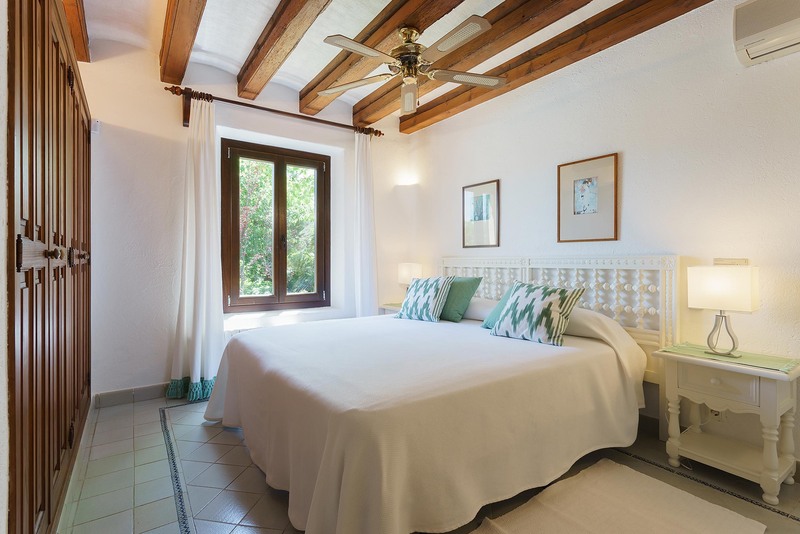 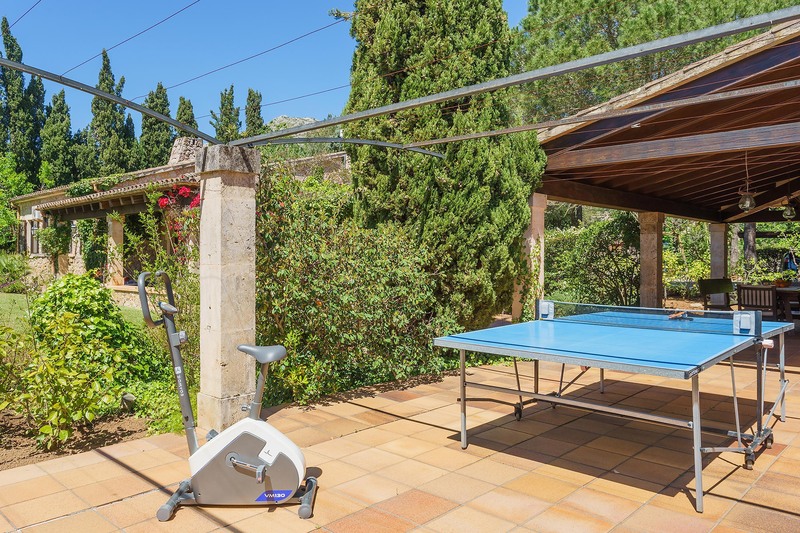 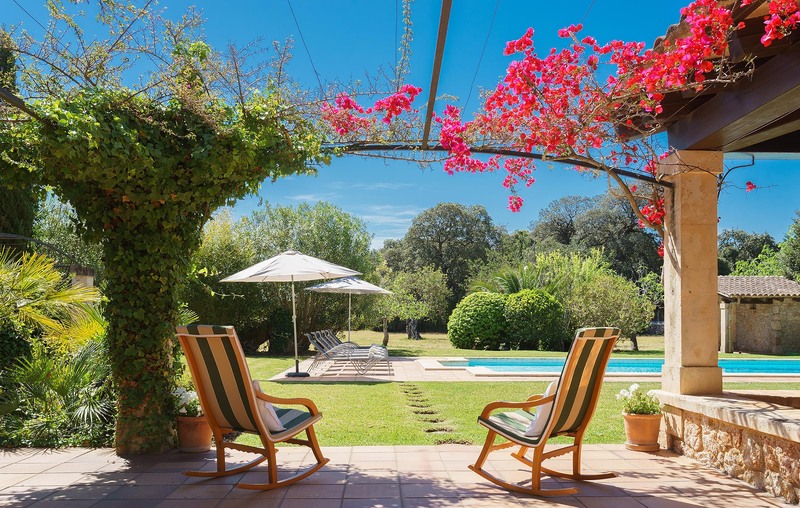 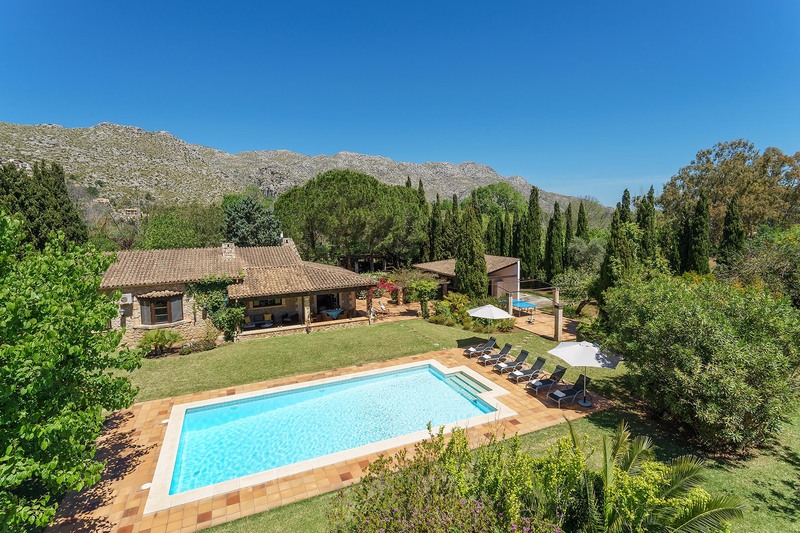 This lovely house was built in 1990 in a quaint, old style; embedded in fruit gardens of Huerta de la Font and marvelous views to the mountains of the Sierra de Tramuntana. 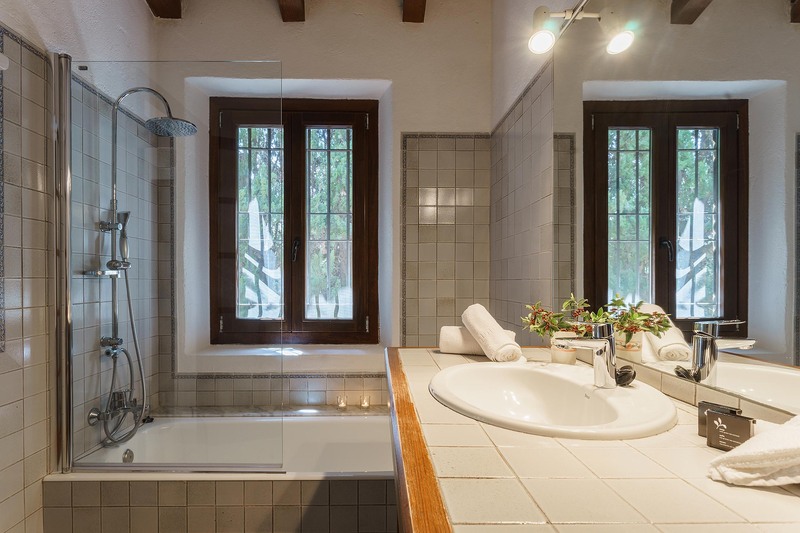 The stone walls of the house guarantee pleasant temperatures in summer and winter time. 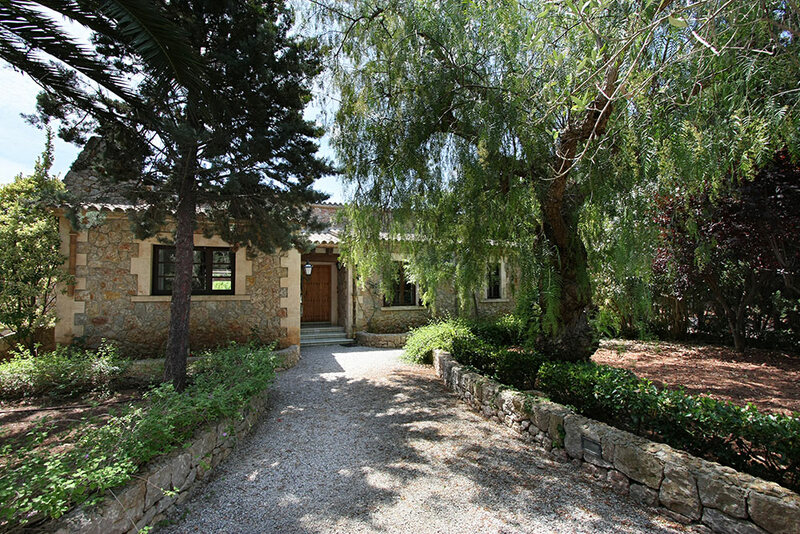 The main entrance on the left leads to the lounge area, on the right to the bedrooms. 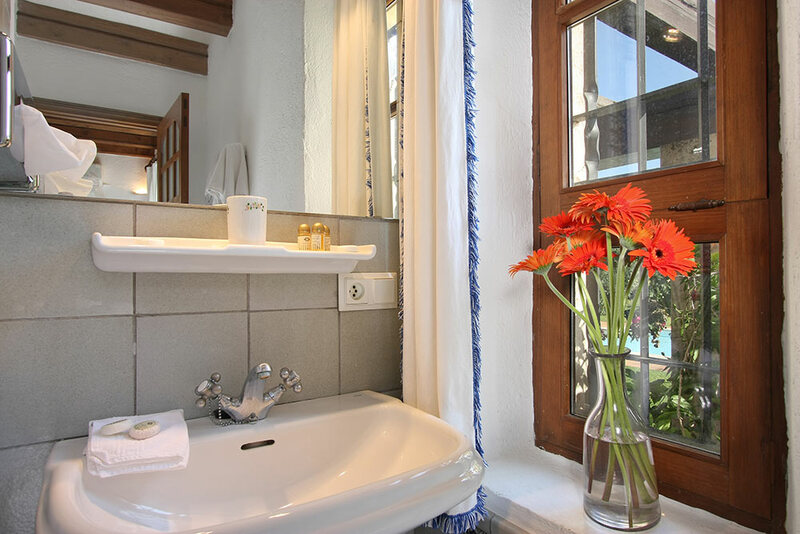 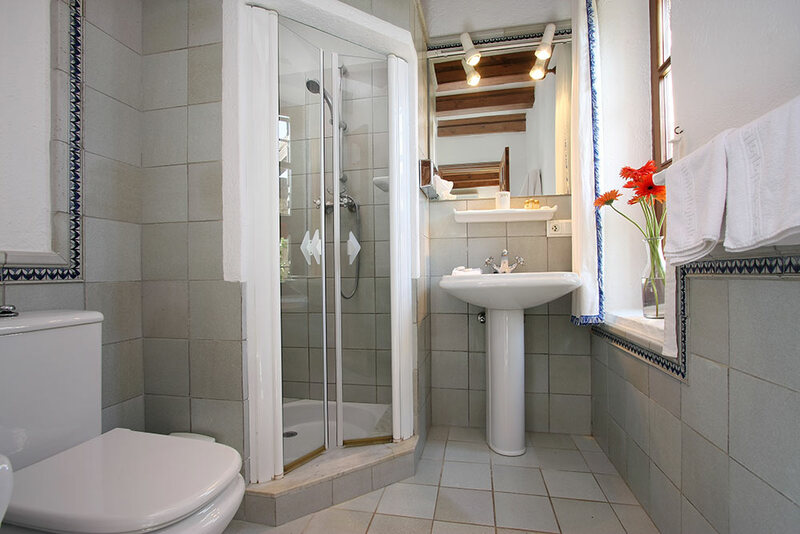 3 cosy bedrooms with 2 beds each and bathrooms en-suite with toilets are located in the right wing of the house. 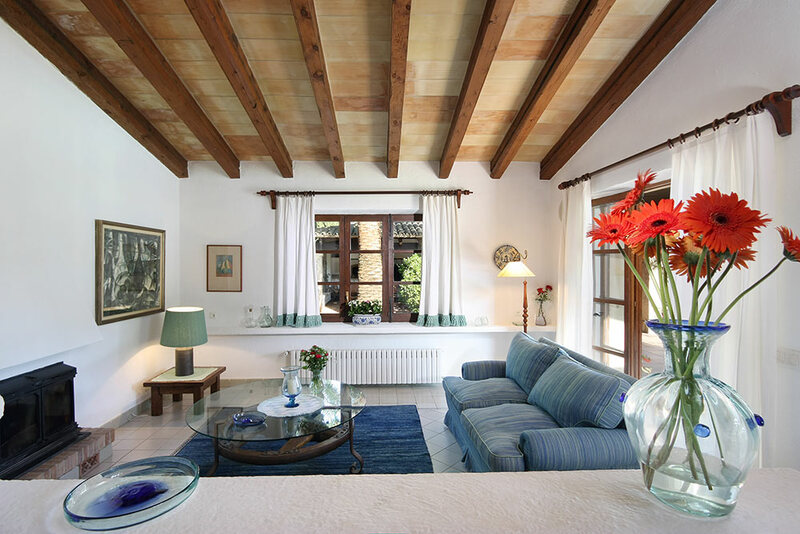 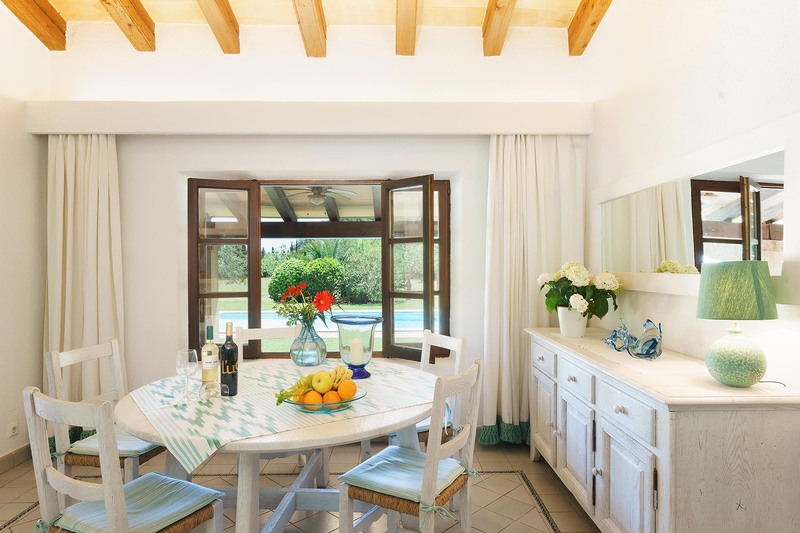 Tasteful furniture and colour matching, Mallorcan curtains and plaids create a beautiful atmosphere. 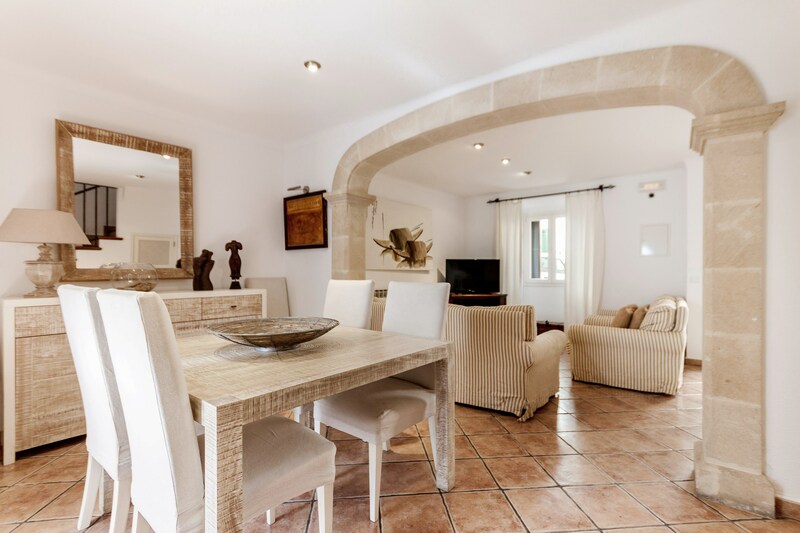 On the ground floor you can find a wonderful lounge and dining room, which has been designed on two floors. 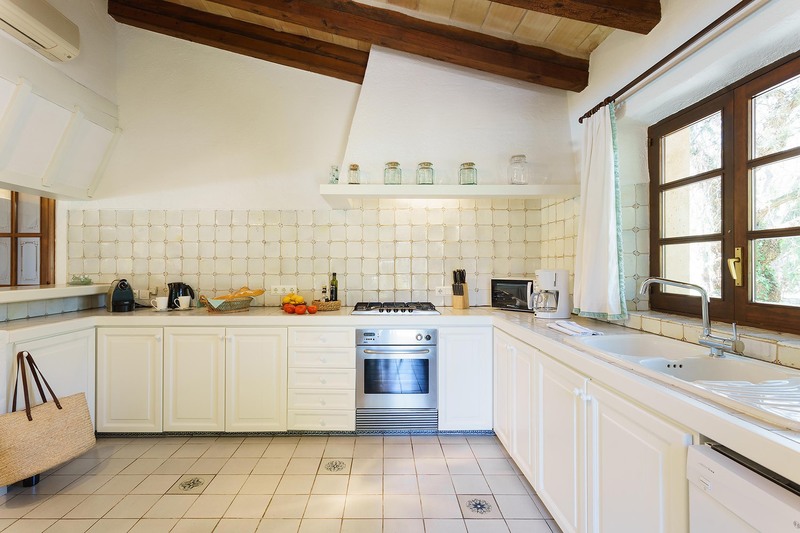 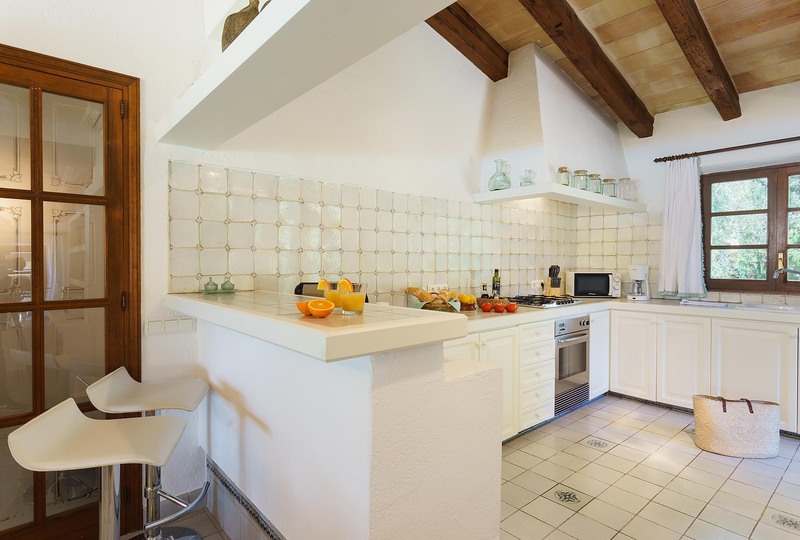 The kitchen is separated from this area by a stone-wall bar. 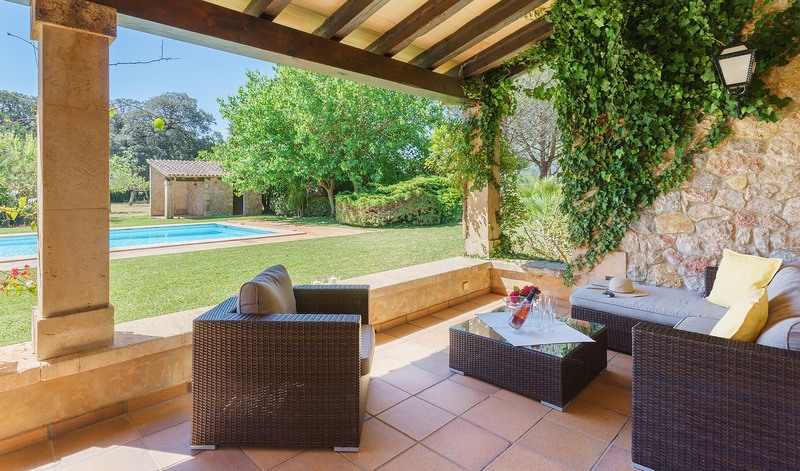 From here you have access to the wonderful garden. 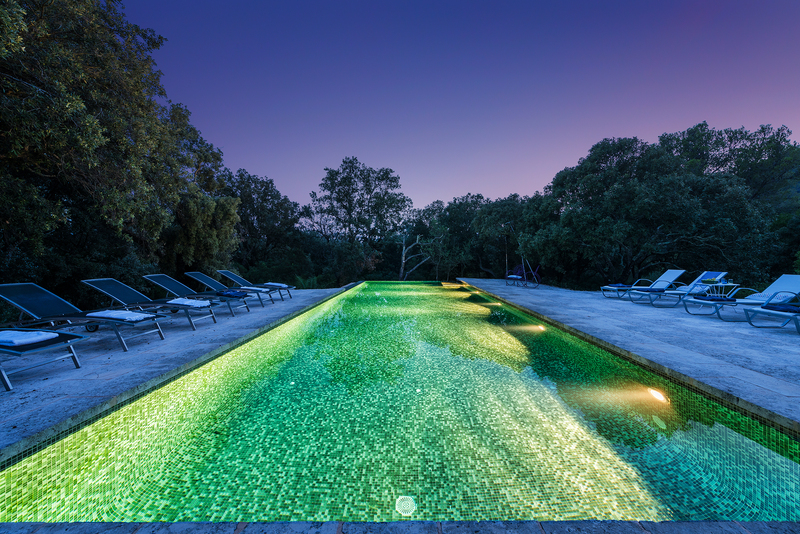 In the light flooded lounge a glass door leads to the covered terrace, which invites you to stay the entire year and also to the pool, which is surrounded by grass and flowers. 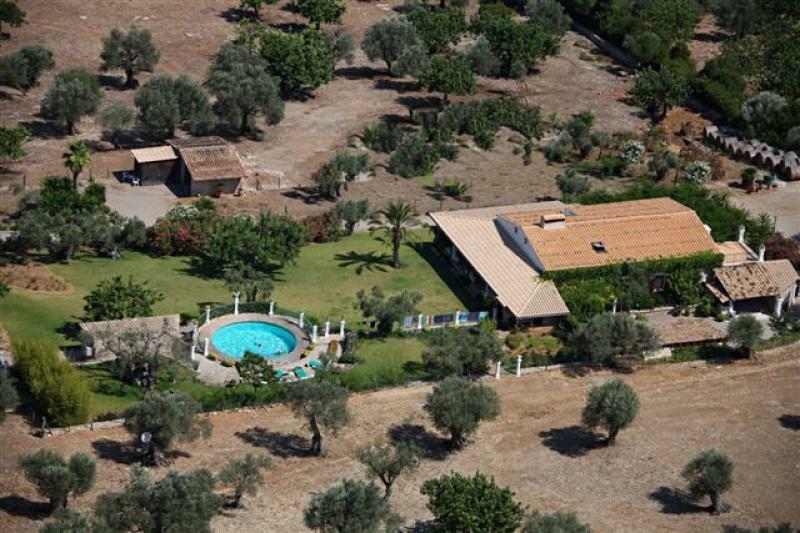 There are growing orange, lemon, grapefruit, almond, fig and carob trees on the field belonging to the estate. 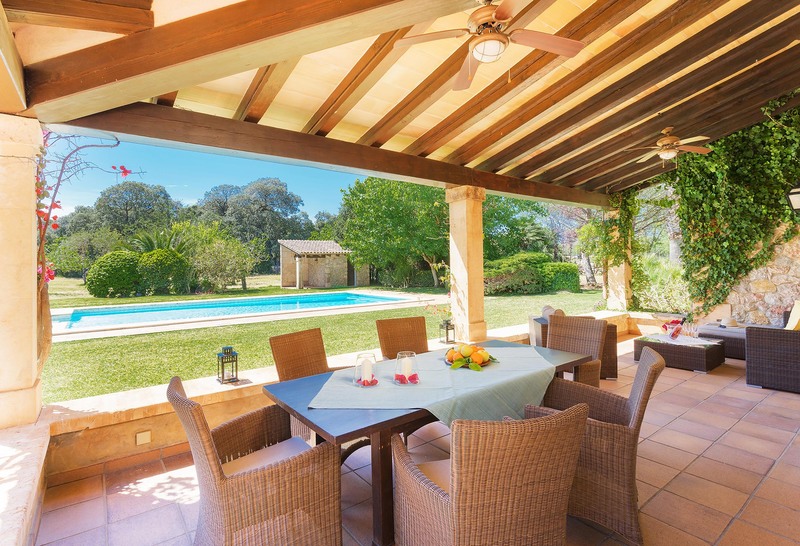 Most beautiful is the separate covered BBQ terrace with oven, grill, cooker, sink and cosy possibilities to sit down.